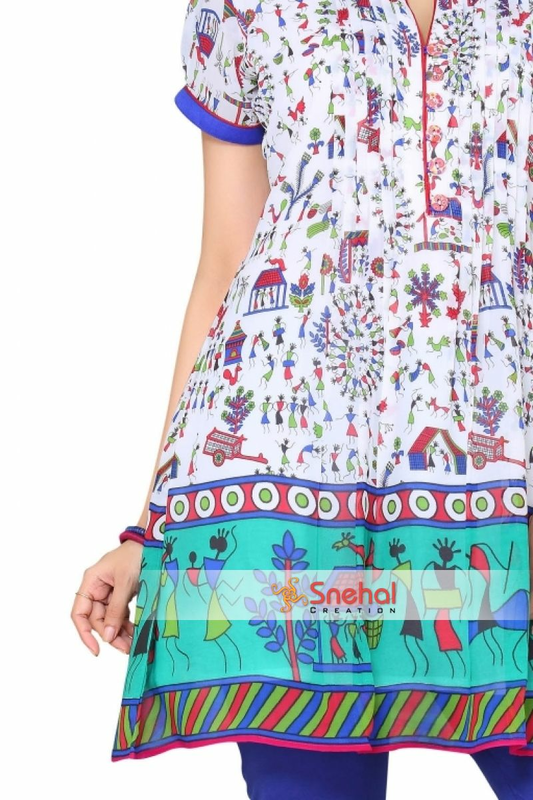 A quaint Chinese collar in blue along with matching prints in white and blue on the trendy kurti can definitely give you a modern look while you choose to wear ethnic garb. 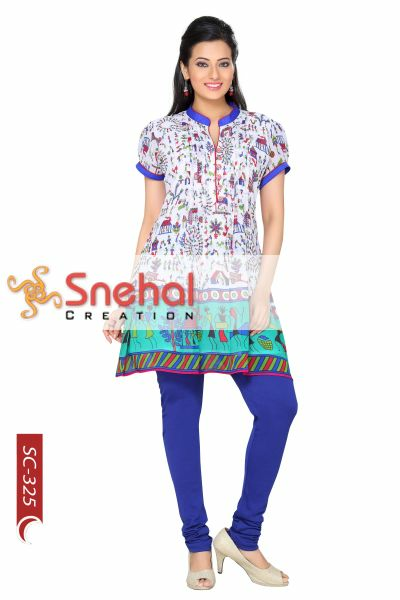 The slight flare at the bottom half is reminiscent of a Western dress and the short sleeve helps to keep your hands free as you keep cool and collected. The super fine Georgette is light on your body and will not make you feel uncomfortable or overdressed in any way. 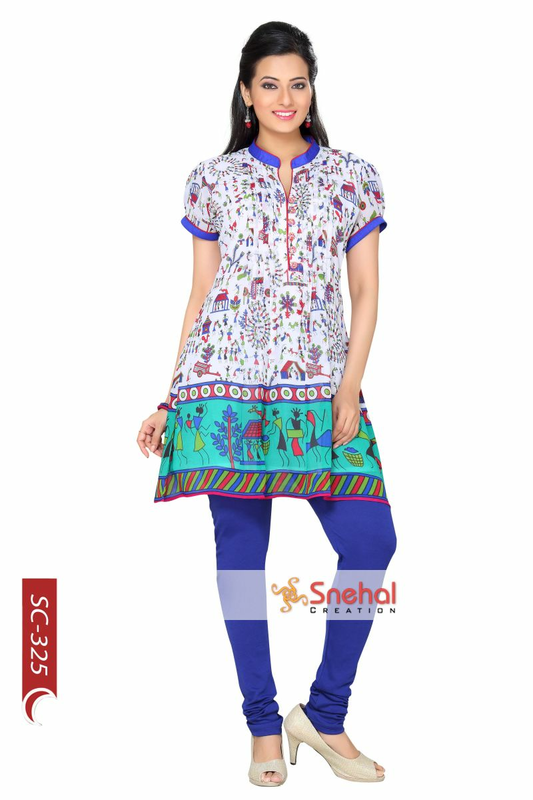 The contrasting light blue border with interesting prints lends the kurti a wonderfully classy look that can make you stand out indeed! AVAILABLE IN DIFFERENT COLORS.